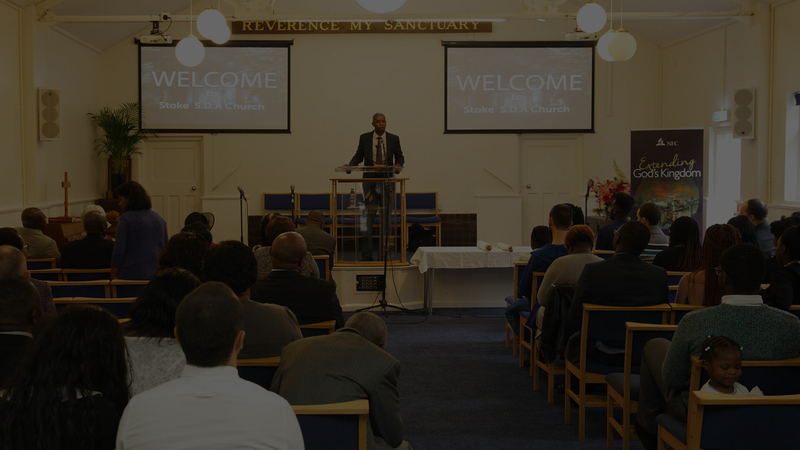 Stoke Seventh-day Adventist Church welcomes you to our website. Our church doors are open to embrace the diversity of all people who wish to worship with us. Whether you are already a member of our faith community, a resident of Stoke-on-Trent, a visitor to Staffordshire, or you just happened to stumble onto our website, our desire is that you will find in our ministry a safe place to seek, learn, and grow in your spiritual journey. We have various ministries, programs and departments throughout our church. Feel free to look around our site. We hope that you will join us for worship every Saturday morning. May the blessings of the Lord be upon you. I take this moment to personally welcome you to the Stoke-on-Trent Seventh-day Adventist Church website. I am excited that you have chosen to visit our site and I hope you take the time to explore more about us, but more importantly that it will lead you to visit in person. I hope you enjoy this quick glance into our faith-filled church family were all are welcomed with the love of Jesus Christ! We open our hearts and doors to all! If you are planning a trip to the Stoke City area, please make a Sabbath (Saturday) visit a part of your plans! We want you to experience the love and power of God and we look forward to meeting you soon! The Departmental ministries of this church are the life blood of this church. The success of our Church depends on participation from people like you. Get involved in our Ministries – it will change your life. Follow these uplifitng Adventist Channels that cover ministries like evangelism, sabbath school, charity and bible study.